A man named in the Dublin parliament earlier this year as a PSNI Special Branch agent linked to a series of murders was shot near North Belfast today. Claims by an MI6 operative in the Sunday tabloids that Sinn Féin MP Martin McGuinness was a British spy have been rubbished. Efforts to designate an annual memorial day to remember victims of the Great Hunger have been boosted following the approval of a motion on the issue by Dublin City Council. Sinn Fein said today that it would take part in a committee aimed at preparing for local power-sharing government in the North of Ireland. Over 20% of the financial resources of British military intelligence is being used to battle irish republicanism, it has emerged. A new film on the Irish War of Independence is set to boost international understanding of the struggle against British rule after it scooped top honours at the Cannes Film Festival. The hunger strike changed the nationalist community forever. Robert McBride, former ANC activist, death row inmate, parliamentarian and now chief of police in East Rand, Johannesburg, recently brought a message to republicans across Ireland. British Direct Ruler Peter Hain is to press ahead with the formation of an all-party committee at the new shadow assembly to discuss the return of powers from London to Belfast. The killer of Belfast lawyer Pat Finucane is enjoying his freedom after serving just 18 months of a 22 year sentence for the brutal murder. Sinn Féin President Gerry Adams has controversially backed the right of the Protestant Orange Order to hold sectarian parades - despite American observers reporting 'grotesque anti-Catholic displays' at last year's parades by the order. British Direct Ruler Peter Hain has been accused of wasting money by appealing a High Court ruling which overturned his appointment of two Orangemen to the Parades Commission. A US Senate decision to fast-track new immigration measures has been welcomed in Ireland on behalf of many undocumented Irish citizens settled in the USA. Mourners at the funeral of one of the Birmingham Six, Richard McIlkenny, were told on Thursday that he has 'finally found freedom'. 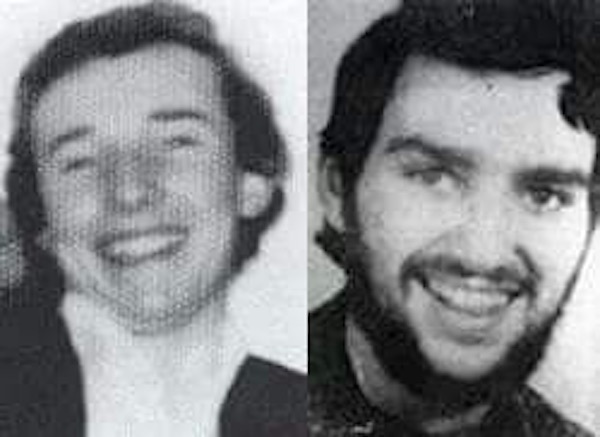 This week marked the 25th anniversary of the deaths of the third and fourth of the 1981 hunger strikers to die, Raymond McCreesh and Patsy O'Hara. The assembly meeting up at Stormont isn't the Northern Ireland Assembly established by the Good Friday Agreement. There were no surprises as the DUP leader Ian Paisley flatly rejected a bid to form a power sharing executive at the shadow Belfast Assembly on Monday. The British government encouraged leading organisers of contentious sectarian parades to apply for posts on the Parades Commission during a secret meeting last autumn, it has been revealed. The British government is being urged to apologise to the Birmingham Six following the death of one of the six, Richard McIlkenny. The US House of Representatives has voted overwhelmingly to call on the British government to reconsider its position on the inquiry into the murder of Pat Finucane. Thousands defied the rain to attend hunger-strike commemorations for South Armagh IRA man Raymond McCreesh and the Derry INLA hunger striker Patsy O’Hara. A week-long hunger and thirst strike by Afghan asylum-seekers protest in St Patrick’s cathedral in Dublin was dramatically ended late on Saturday night as garda police stormed the church. Ian Paisley will be conscious of the irony involved in Sinn Fein going to Stormont to have him elected as First Minister. It has been fascinating to watch the DUP tip-toe politely around the funeral of Michael McIlveen. The mood at the first days of a new 'transitional' northern assembly were low key and overshadowed by the sectarian murder of Catholic schoolboy Michael McIlveen in Ballymena. Loyalists attacked mourners on their way to the funeral of murdered Catholic schoolboy Michael McIlveen today. The main political representative of the unionist paramilitary UVF has joined the assembly group of the Ulster Unionist Party in a move described both by nationalists and rival unionists as “breathtaking hypocrisy”. It has emerged that a former deputy mayor of Ballymena was a leader of the unionist paramilitary UDA while he was a serving British Army officer. Portadown Orangeman Don MacKay has been forced to resign from the Parades Commission after being exposed earlier this year for using false references when joining the commission. Asylum seekers from Afghanistan are mounting a determined hunger strike in Dublin's St Patrick's Cathedral in a campaign for refugee status. Today is a day many people recall with feelings of sadness and anger as well as a strong desire for the truth. Farewell to David Ervine and the Progressive Unionist Party. Preparations are currently underway for the funeral of fifteen-year-old Michael McIlveen who died on Monday after he was fatally wounded in a sectarian gang attack in Ballymena, County Antrim last weekend. Sinn Fein President Gerry Adams has said he will nominate DUP leader Ian Paisley as First Minister and his own party’s chief negotiator Martin McGuinness as Deputy First Minister when the Belfast Assembly is reconvened on Monday. British Direct Ruler Peter Hain has said Sinn Fein will not be forced to publicly back policing in the North as a condition of power-sharing. The US government is to consider the possibility of blocking access to the website of the 32 County Sovereignty Movement following a meeting with relatives of the 1998 Omagh bomb. Plans for participation in European Union battle groups by the 26-County Army has come in for strong criticism. The final report of the Bloody Sunday inquiry will not be published until next year, the families of those killed have said. Twenty five years ago on Friday, Francis Hughes, one of the most fearless and courageous IRA Volunteers to emerge out of the current phase in the Republican Struggle, lost his life after 59 days on Hunger Strike in Long Kesh. One of the biggest scandals to hit these islands in recent years did not even merit a mention on our main radio or TV stations. 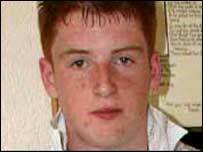 A schoolboy savagely beaten in a sectarian attack in Ballymena on Saturday died in hospital on Monday night. Members of the family of Bobby Sands assembled for a private gathering on Friday in the former Long Kesh Prison near Lisburn to mark the 25th anniversary of his death. Sinn Fein President Gerry Adams made a weekend plea to Ian Paisley's DUP to play a leading role in ensuring a peaceful Protestant marching season. The Sinn Fein leadership has issued a call for four republicans who failed to turn up in court for sentencing after admitting the abduction of a dissident republican to turn themselves in. It is thought that growing pressure on British Prime Minister Tony Blair to resign could undermine his ability to continue the current phase of the peace process. The organisation behind the long-running television show Sesame Street has launched a new project which aims to break down sectarian barriers between children in the North. There was nothing normal about our lives in the H-blocks during the years 1976-1981 so why should our thinking and actions be assessed according to a 'normal' system of measurement. Bobby Sands died 25 years ago today, the first of ten to die while on hunger strike against the British policy of criminalising the republican struggle. It is a day of mourning for all Irish republicans. Successive British governments failed to act despite having full knowledge of the extensive and murderous collaboration between the UDR and unionist paramilitaries. Sinn Fein will be forced to give its backing to the PSNI police when powers for policing and justice are devolved from London to Belfast, British Direct Ruler Peter Hain has claimed. The PSNI police has been strongly criticised after allowing a mob of loyalists to attack defenceless nationalists after wrecking a billboard erected in honour of the 1981 hungerstrikers. Leaders of the Protestant marching orders have said they still will not talk directly to Sinn Fein or to residents groups about their sectarian parades through Catholic areas. 26-County Minister for Communications Noel Dempsey has been accused of siding with Shell Oil following a government report on its planned high-pressure gas pipeline through County Mayo. Hardline unionist Willie Frazer has claimed that the PSNI police failed to arrest former Irish National Liberation Army leader Dessie O'Hare at his wife's home in south Armagh at the weekend. The victims group An Fhirinne is appealing to the families of people who were victims of British state killings or collusion to help complete its database.